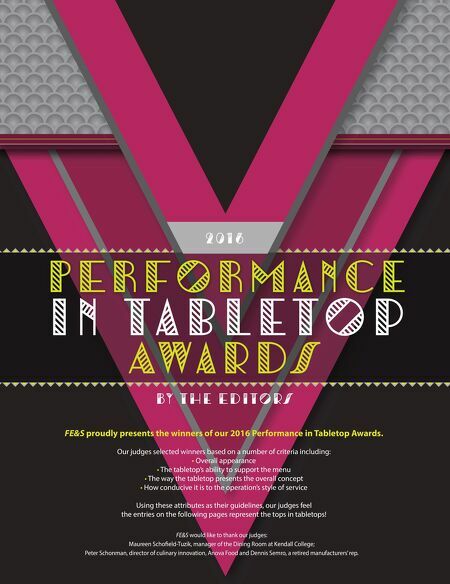 PERFORMance In Tabletop Awards 2016 By the Editors FE&S proudly presents the winners of our 2016 Performance in Tabletop Awards. 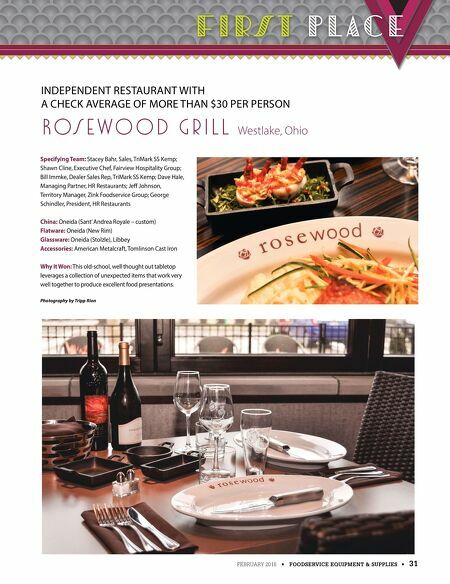 Our judges selected winners based on a number of criteria including: • Overall appearance • The tabletop's ability to support the menu • The way the tabletop presents the overall concept • How conducive it is to the operation's style of service Using these attributes as their guidelines, our judges feel the entries on the following pages represent the tops in tabletops! FE&S would like to thank our judges: Maureen Schofeld-Tuzik, manager of the Dining Room at Kendall College; Peter Schonman, director of culinary innovation, Anova Food and Dennis Semro, a retired manufacturers' rep. On-site Profile: Kitchen Refurbishment at Overlook Medical Center in Summit N.J.
DSR of the Month: Steve Ruck, Outside Sale, Chef's Toys, Fountain Valley, Calif.
Parting Shot: Where is Your Food Thermometer?